If President Trump leaves the deal, the United States will be isolated. PRESIDENT TRUMP FACES a fateful deadline on May 12: to decide whether to keep waiving nuclear-related sanctions on Iran or to rip up the Iran nuclear deal. 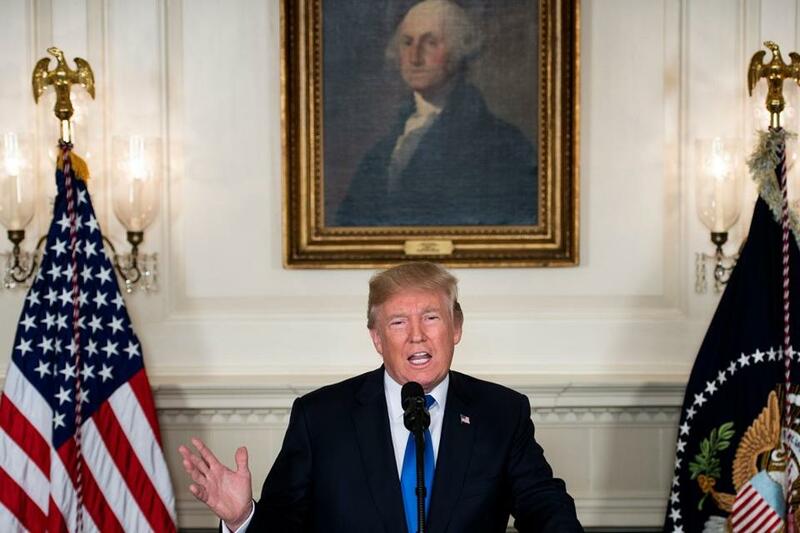 Fortunately, there is a path that would allow him to fix many of the problems he sees with the deal while keeping Iran hemmed in by the deal’s restraints. If Trump is determined to stop Iran from getting a nuclear bomb, as he says he is, he should make sure that, as he pushes on other issues, he does not let this progress — for US security, for Israeli security, and for world security — go down the drain. A two-part plan can help him do that — acting in part with the Europeans and in part on his own. First, Trump can complete the current talks with the Europeans to put together a joint effort to pressure Iran to stop testing long-range ballistic missiles and stop supporting terrorists like Hezbollah. Such an effort could also include pushing back on Iran’s support for regional actors that threaten Western interests, such as Syrian dictator Bashar al-Assad and Houthi rebels in Yemen. Those talks were a major focus of his recent meetings with President Emmanuel Macron of France and German Chancellor Angela Merkel, and on those issues an agreement is reportedly close. Fixing the nuclear deal itself has proved more contentious, since, as the Europeans point out, a negotiated agreement cannot be rewritten by just a few of its parties. This is where Trump’s unilateral power can come into play. Trump, who has the authority to reimpose US sanctions at any time, could make clear that if Iran ever comes substantially closer to the bomb — whether by violating the deal or by taking advantage of its sunset provisions, which mean key restraints expire in 2025-2030 — the United States would respond. That response could include measures ranging from sanctions to military strikes. 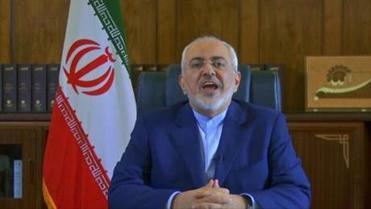 Iran’s foreign minister took to YouTube on Thursday to criticize President Donald Trump’s threat to withdraw from the nuclear deal, saying Iran will not “renegotiate or add onto” the atomic accord. Such a statement would amount to a US threat to violate the deal in the future if Iran came too close to a bomb capability. Iran would certainly react furiously, but it probably would not want to pull out of the deal and be blamed for its collapse — including having global sanctions (far more powerful than unilateral US sanctions) reimposed. And Iran cannot realistically expect, even after the enrichment restraints expire, that any US president would sit back and watch as Iran edged up to the precipice of a nuclear weapons capability. Waiving the sanctions again on May 12 would be a key part of such a strategy. Without that, Iran would be freed immediately from the deal’s restraints — in effect changing the deal’s sunset provisions from 10-15 years to zero — and the Europeans would likely be unwilling to join in pressuring Iran on other issues. Once such a framework is in place, Congress should modify the legislation that currently requires Trump to waive sanctions every few months (avoiding future crises over the deal), while incorporating some of the approaches agreed upon with the Europeans, to reinforce the message to Iran. By contrast, if Trump walks out of the deal on May 12, the United States will be isolated. Few others will join the US sanctions, diluting the pressure that could be brought to bear on Iran. And in Iran’s internal debates, the advocates for engagement with the West would be discredited, probably making any new or better deal impossible for years to come. Iran would be freed from the deal’s nuclear limits and could begin building up its capability to produce nuclear bomb material. That could leave Trump with few choices between accepting an Iran on the edge of nuclear weapons or launching yet another war in the Middle East. Matthew Bunn is professor of practice at Harvard Kennedy School and coprincipal investigator with the Project on Managing the Atom at the Kennedy School’s Belfer Center for Science and International Affairs.